Scope: In my Digital Imaging course, I wanted my students to do a levitation photography project. Having not done it myself, I got out my camera and enlisted the help of my family to come up with this fun project. 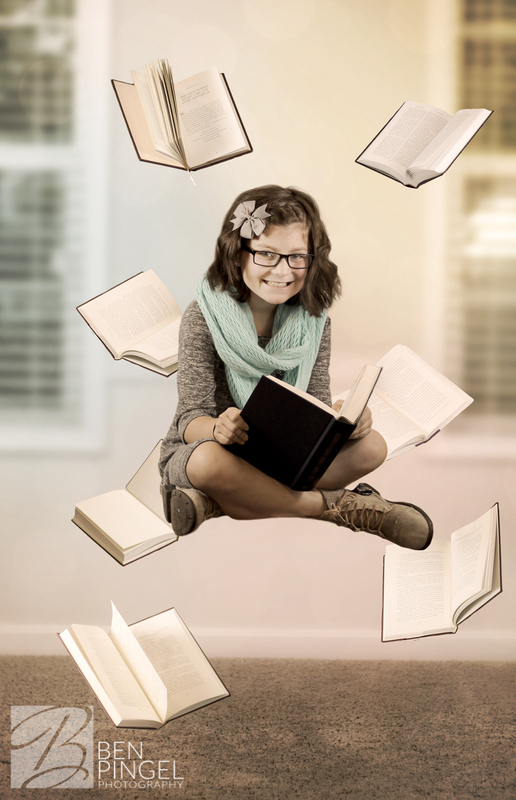 I set my daughter on a stool, had my family hold books in various locations, and snapped several photos. I then removed everyone and got a shot of the background and began masking. I had to reconstruct several areas, and then heavily edited with different effects. End result? We love it, and my daughter thinks it’s about the coolest thing ever. Dad points! !